Health Benefits of Pumpkin and Recipes! What better way to celebrate the Autumn season than making recipes with pumpkin and reaping the health benefits too! Pumpkin is great for eye health, delivering a 100% RDA of Vitamin A in just half a cup. It is a healthy source of fiber, and the beta-carotene and carotenoids in orange vegetables like pumpkin may help prevent cancer and keep wrinkles at bay! (A diet rich in a large variety of fruits and vegetables will keep your skin glowing and your body at it’s best). Pumpkin is a good source of Vitamin C , Vitamin E, Potassium and trace minerals. 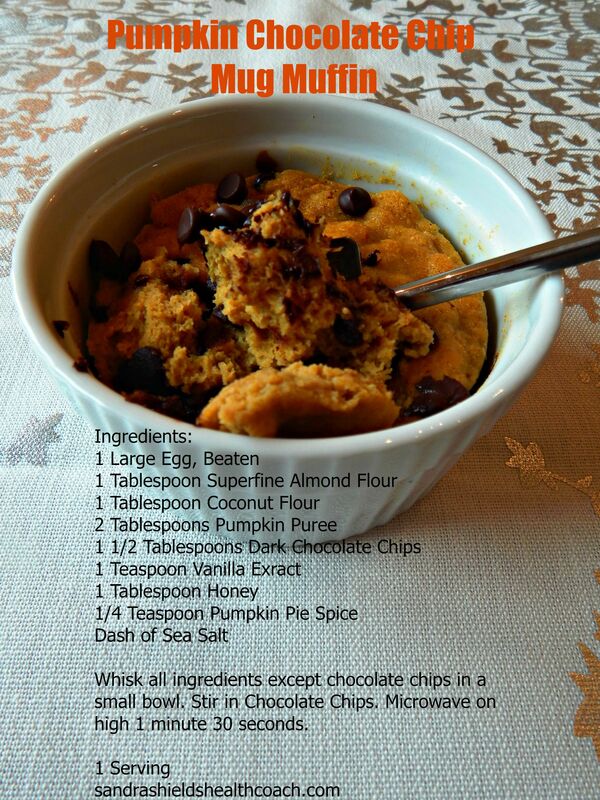 I have some of my favorite pumpkin recipes listed below. I just love Fall! Delicious Ways to Eat Pumpkin – Recipes!!! 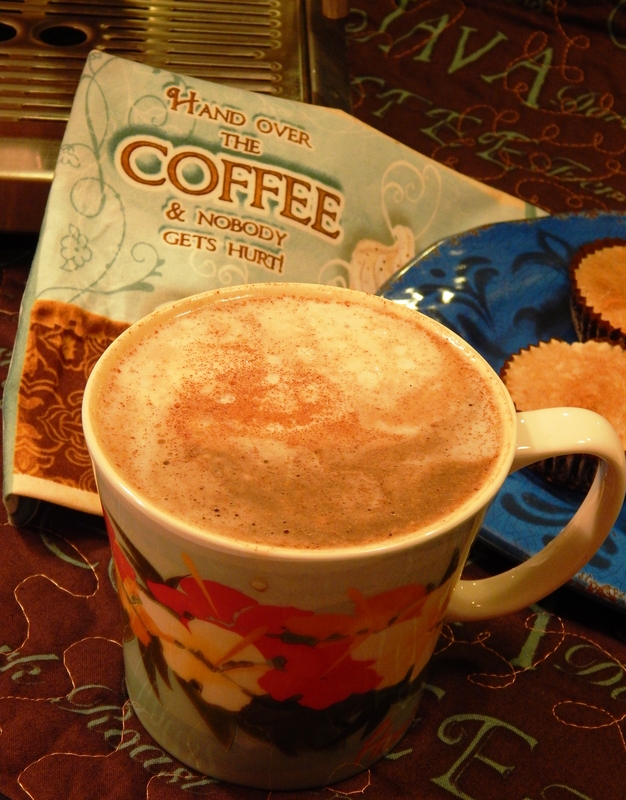 It is a perfect time to enjoy this mug muffin! Find the full recipe here. That is Ming, Ming snorteling in the background of this video. If you look closely in the beginning, she is in the left hand corner! 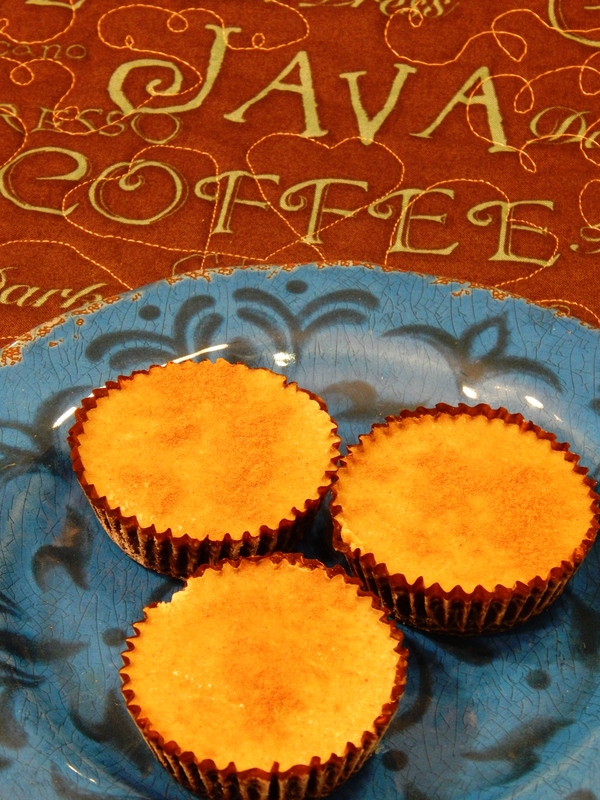 Mug muffins are scrumptious, convenient, individual and fast! Just mix and microwave for 1 minute 30 seconds and you have a warm muffin in a mug! Since Fall is in the air, I have been craving pumpkin. I was in the kitchen this weekend creating a pumpkin flavored mug muffin with a touch of chocolate that really evokes thoughts of cooler weather, sweaters, autumn crafts and warm hugs. My youngest daughters are 12 and 14 now and like to choose and make their own breakfasts. They love mug muffins and can whip them up quickly on a school morning! I thought Ming would be cute in a pumpkin costume when the Trick or Treaters came to the door this year, but she really, really doesn’t like clothes of any kind, especially on her head, can you tell? So, to apologize to her for compromising her dignity, I made her some Pumpkin Pup Treats. She adores them, and gets a little crazy when she hears the bag rattling. 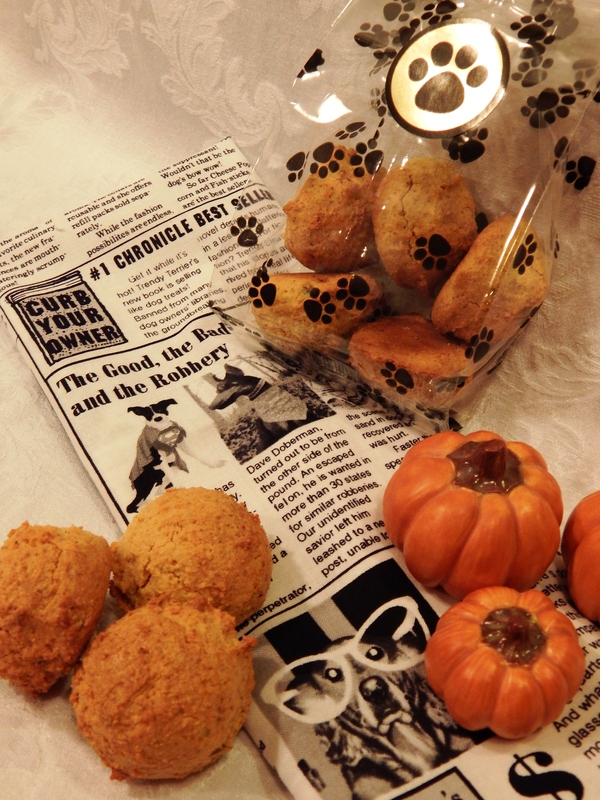 Your pup will enjoy these healthy homemade dog treats too, whether they like to dress up or not! 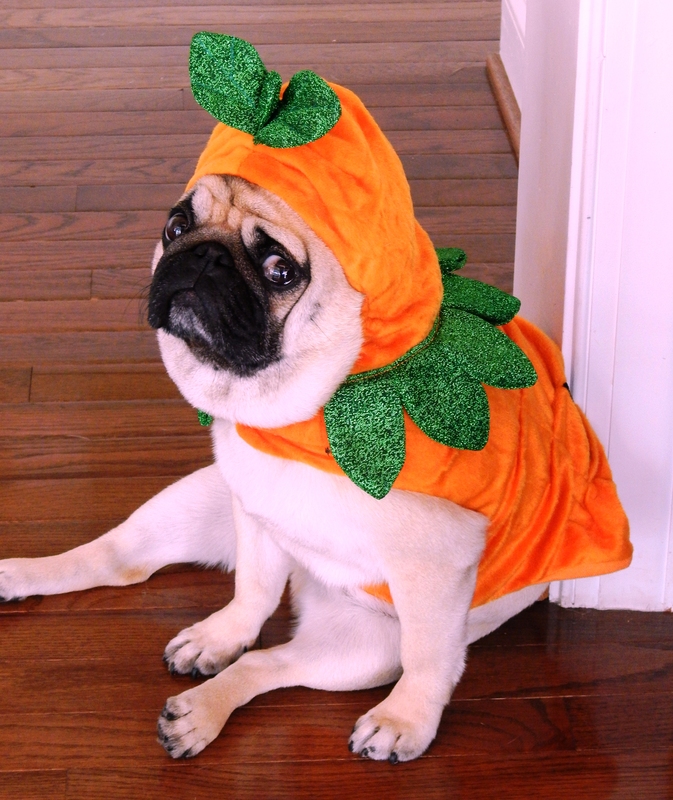 If your dog loves to wear costumes or doesn’t, I would enjoy seeing pictures of your pets! E-mail me your pet photos at: sameatshernutrients@gmail.com so I can meet the pets you love! Mix all the ingredients with an electric hand mixer. 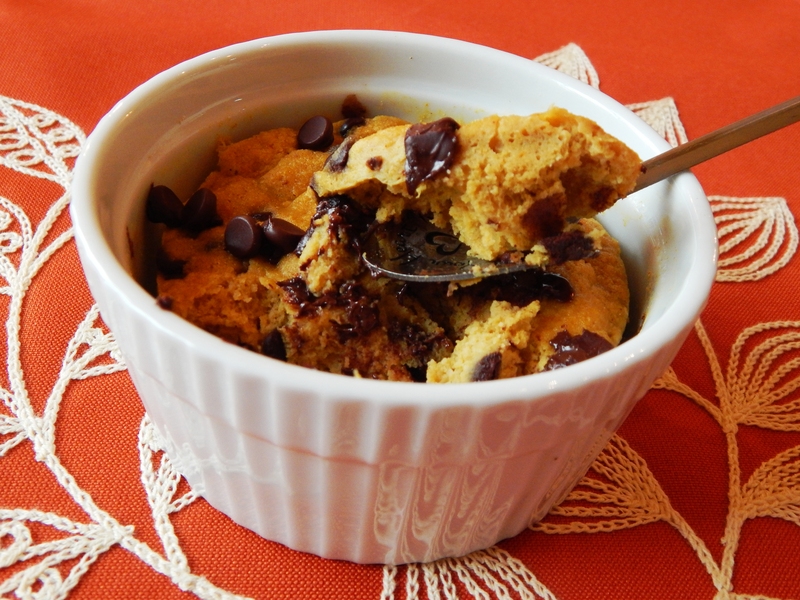 Scoop with a tablespoon cookie scoop onto parchment lined cookie sheets. Bake 15 minutes. Cool and package. Makes 24 treats. Freeze them in small batches so you can pull them out of the freezer a little at a time for your pet. 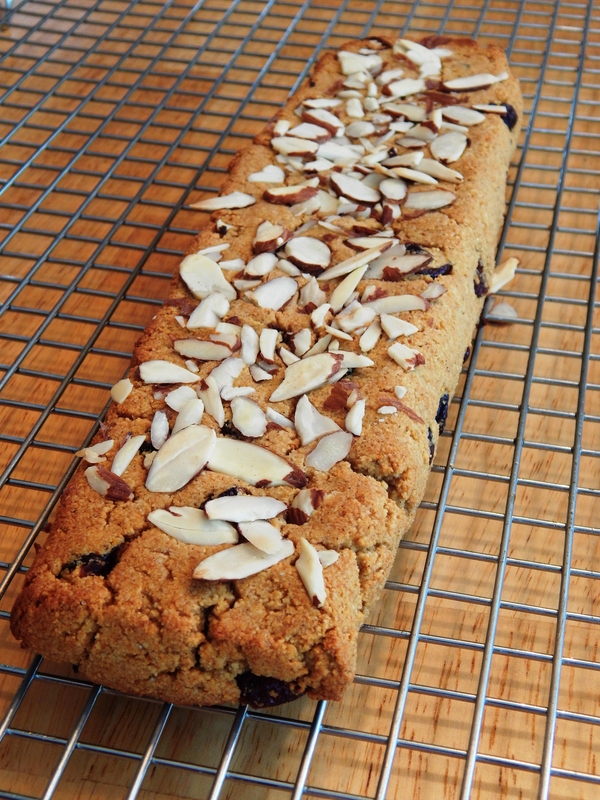 One of my favorite cookies of all time is biscotti! It is elegant, and I love the shape! 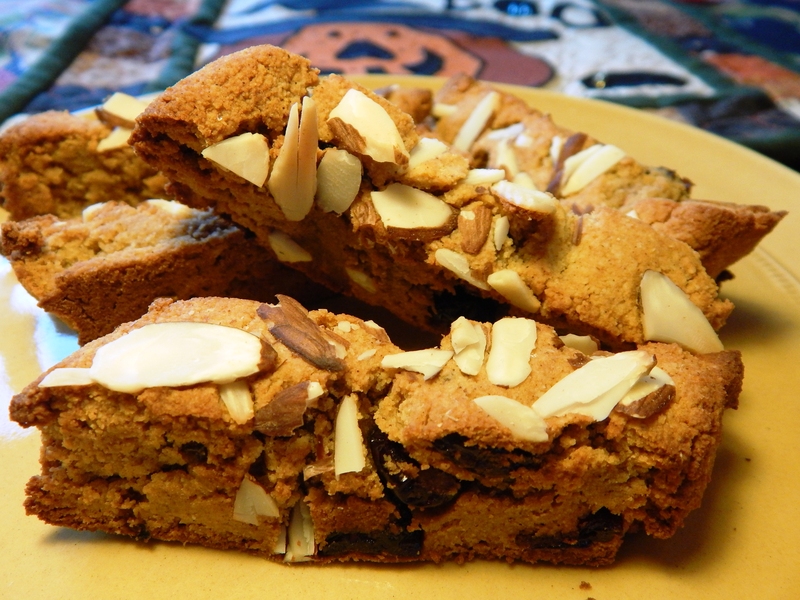 Biscotti means twice baked, and the first documented recipe originated in Italy. You start by baking it in a log shape, letting it cool, and then cutting it into long slices and baking it again so it is crunchy and dry, perfect for dipping in a hot beverage. Biscotti and I have a long history. I am known to get the biscotti jar out when company is over and we are playing cards and having coffee. 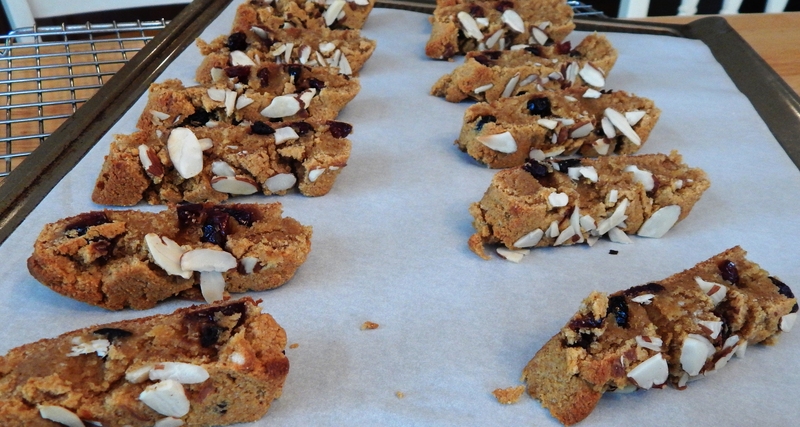 I am so happy that eating SCD and Paleo doesn’t mean I have to give up my biscotti! 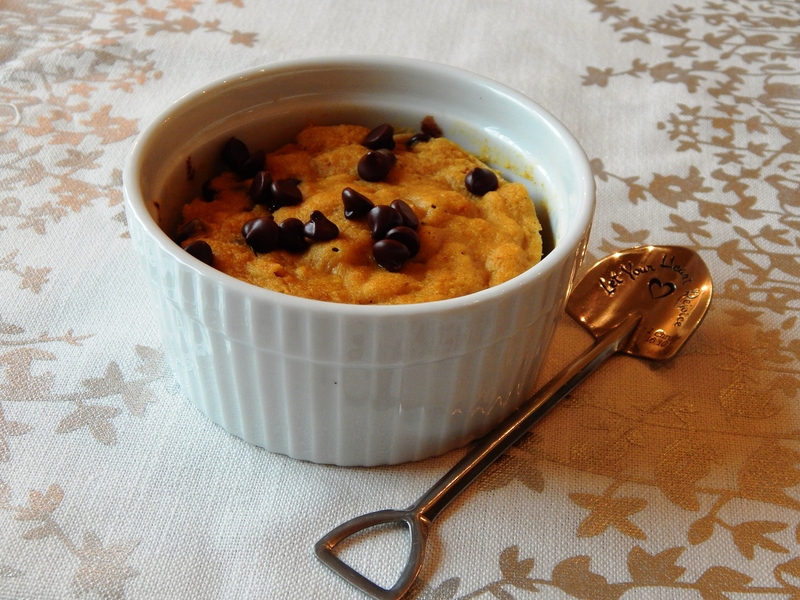 This is a wonderful Autumn recipe with pumpkin and tart cranberries that you are sure to love! In a medium bowl, whisk together the first five dry ingredients. In a seperate small bowl, melt your honey a few seconds in the microwave, and then whisk in the pumpkin puree and vanilla extract. Add this to the dry ingredients and stir together vigorously until a ball forms. Remove the dough from the bowl and knead in the dried cranberries. Then, place your dough on a parchment lined baking sheet and form into a 14 x 8 inch log. Flatten the top and press the sliced almonds into the top of the dough. It should look like this after it is baked the first time. Bake for 20 minutes. Remove from oven and cool on a cooling rack for one hour. Place cooled log on a cutting board and gently slice with a serrated knife on a diagonal into 1/2 inch slices. Place on a parchment lined baking sheet and return to the oven and bake seven minutes. Remove from oven and turn biscotti to opposite side and continue baking another 7 minutes or until golden brown and crunchy. One of the best Fall traditions is pumpkins! There has been a lot in the media lately about some of the pumpkin spice beverages out there and the less than healthy ingredients they contain, even though the are deliciously addictive. I have a figure friendly, healthy, real food solution to a pumpkin spice beverage craving that will leave you feeling great with no sugar crashes or slumps. These individual Pumpkin Spice Coffee Creamers are only 65 calories, contain all natural ingredients, including real pumpkin, and are frozen individually for convenience and freshness. The recipe makes twelve. They have a true, delicious pumpkin spice flavor, are dairy free, and sweetened with just 1/2 teaspoon of honey per serving. If you like yours sweeter, you can add more. 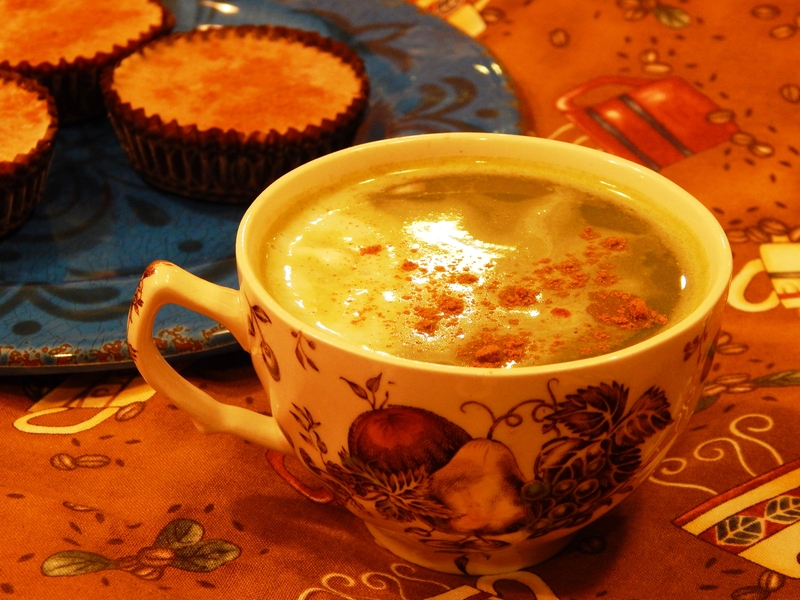 You also get 15% of your RDA of vitamin A from the real pumpkin each beverage contains along with beneficial spices. You can use these all-in-one flavor drop-ins creamers for coffee, lattes, tea or steamers. 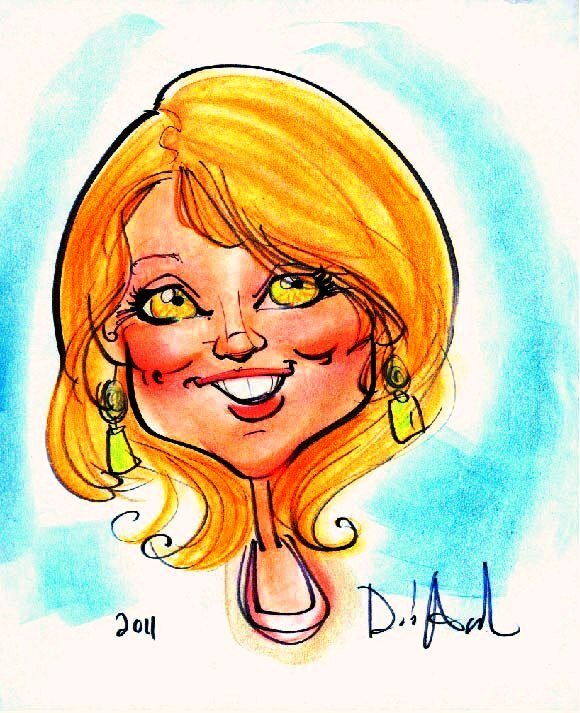 I hope you are enjoying Fall and pumpkin season!!! I look forward to having one of these every day!